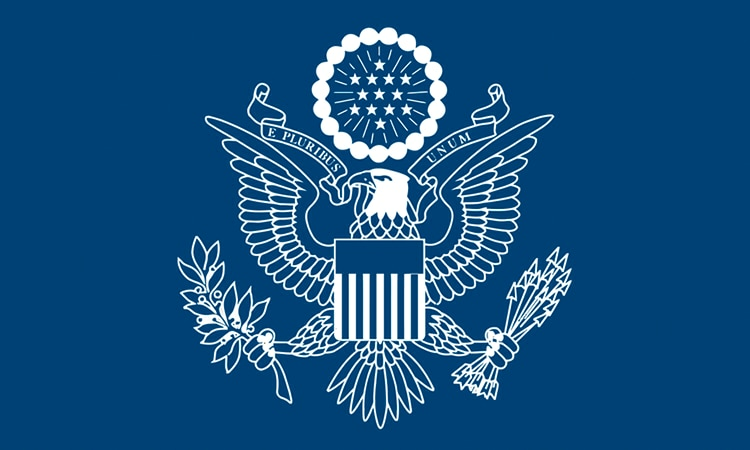 Embassy security procedures require that all visitors receive a security inspection. You will be allowed to check one cell phone at the Embassy gate. The US Embassy and the Embassy guards are not liable for any loss or damage to your cell phone while it is checked. Any other battery-operated or electronic devices such as laptops, Ipads, computer tablets, digital diaries, cameras, MP3 players, or portable music players. Any oversize shoulder bags or purses. Any sharp objects such as scissors, pen knives or nail files. Weapons or explosive materials of any kind. The list provided above is not exhaustive. Other items may be prohibited at the discretion of security staff. 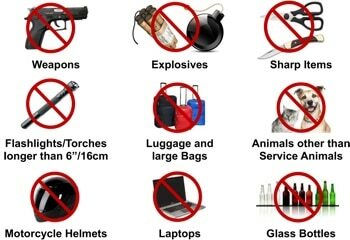 Other than the one allowed cell phone, the US Embassy will not accept the storage of any of the above prohibited items. Only visa applicants with confirmed appointments will be granted access to the Embassy. Accompanying persons may be required to wait outside the Embassy entrance. If you fail to follow these security requirements you may face delays or cancellations to your visit. To apply for a visa, click here. To contact a customer service representative with a visa-related question, please visit the GSS Contact Us page. Submit official and diplomatic visa applications in person or by courier to the Consular Section at 4 Avenue Gabriel, Paris 75008, Monday through Friday at 1400. See below for application requirements. Most official applicants are not required to appear for an interview with a consular officer and are exempt from fees and fingerprint collection. You may pick up your visa at the Embassy or provide a pre-paid shipping envelope (e.g. Chronopost). Processing time is normally 3-5 business days after submission of the application. However, processing times may vary and there is no guarantee that your visa will be ready within this time frame. We urge travelers to apply as early as possible and not make firm travel arrangements (e.g. purchase plane tickets, make non-refundable hotel reservations) before receiving the visa. · Diplomatic Note or “Note Verbale” from the Ministry of Foreign Affairs or Diplomatic Mission; official request from the appropriate international organization or sending government. · One recent ID photograph. Please refer to the Photograph Requirements for detailed guidance. · Additional documentary requirements may apply in some cases. Holders of diplomatic passports traveling to the US for non-official purposes, as well as A-3, G-5 and NATO-8 applicants, should email ParisConsDiplomaticVisas@state.gov for application instructions. Your prior visa was not annotated with “Clearance Received”. J and F visa applicants only. In order to apply for a visa through the Interview Waiver Program, you must have the same SEVIS number as when the visa was originally issued. French citizens: When you register for a visa appointment and pay the fee, the online appointment system will determine if you qualify for the Interview Waiver program. If qualified, the system will provide instructions on how to submit your passport, application, and related documents to the Embassy via courier. This option is not available for applicants outside of France or in overseas French territories. There is no reciprocity fee for French nationals. Citizens of countries other than France: When you register for a visa appointment and pay the fee, the online appointment system will determine if you qualify for the Interview Waiver program. If qualified, the system will provide instructions on how to submit your passport, application, and related documents to the Embassy via courier. Eligible applicants who do not hold a French passport must submit a copy of their valid French residency card (carte de sejour) and may be required to pay a reciprocity fee in addition to the standard visa fee. To determine if a reciprocity fee is required for your application, go to the reciprocity fee website and select your country of nationality on the left, then select your visa category under Visa Classifications to see if a fee is listed. The principal applicant of a Blanket L petition must pay an additional fraud prevention and detection fee of $500 USD. If your application requires an additional fee, you must attach a French chèque de banque payable in France, made to the order of: L’Ambassade des Etats-Unis en France. 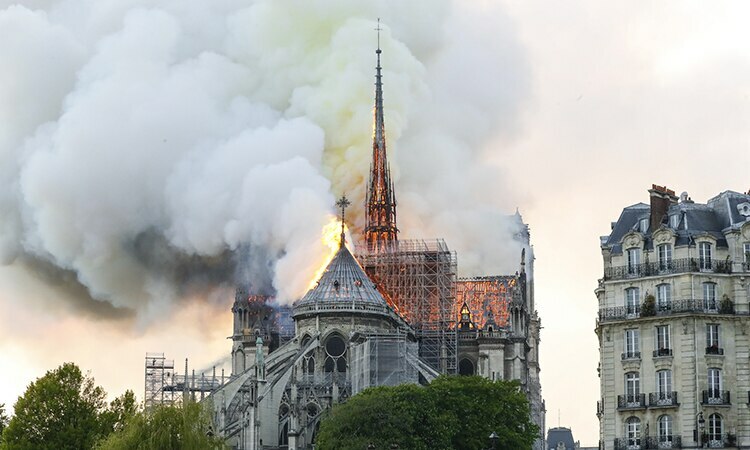 Please note, personal checks from a French bank are NOT accepted and will be returned to you. A French chèque de banque (cashier’s check) can typically only be issued in person in a French bank. Do not write anything on the pre-printed chèque de banque. The Embassy cannot accept any other form of payment or currency for mail-in applications. Your chèque de banque must be in the exact amount or it will be returned to you. 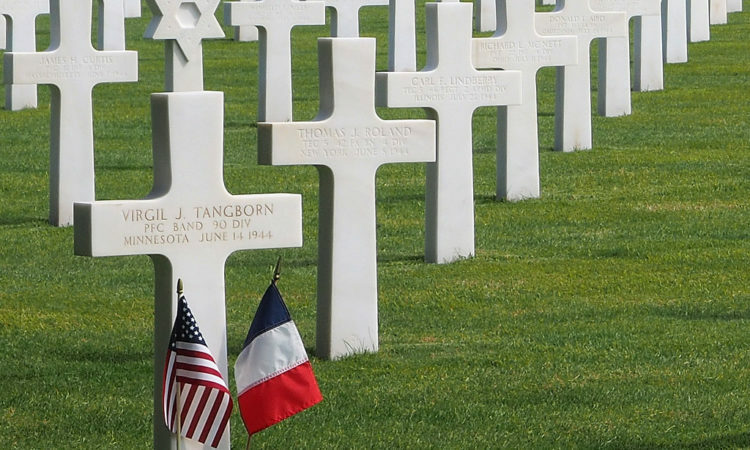 Please note, the U.S. Embassy France can only accept a chèque de banque in euros, though the reciprocity fee website lists fees in U.S. dollars. Therefore, the fees listed must be converted to euros using the Current Consular Exchange Rate Effective August 20, 2018: USD 1 = 0.90 Euros >> For example, if your reciprocity fee is $160, you will need to divide this amount by 0.90 to get as a result 144 euros; $160/0.90=144€ and submit a chèque de banque for 144 euros. 2. Or, submit your passport at 3:00 pm Monday to Friday except holidays and request the correction of the visa error. Please allow a minimum of 3-5 business days from the time it is received at the embassy for receipt of the corrected visa.